Try this dish at the Perth Night Noodle Markets and it will certainly give you something to talk about! Small Talk’s Miso Eggplant is nothing short of aubergenius. The sweet miso paste glaze that envelopes the eggplant is seriously next level and the eggplant itself is accompanied by a salad of grilled corn, cabbage, fennel, shichimi and seaweed. This combination of lip-smacking flavours will surely have you heading back again and again. 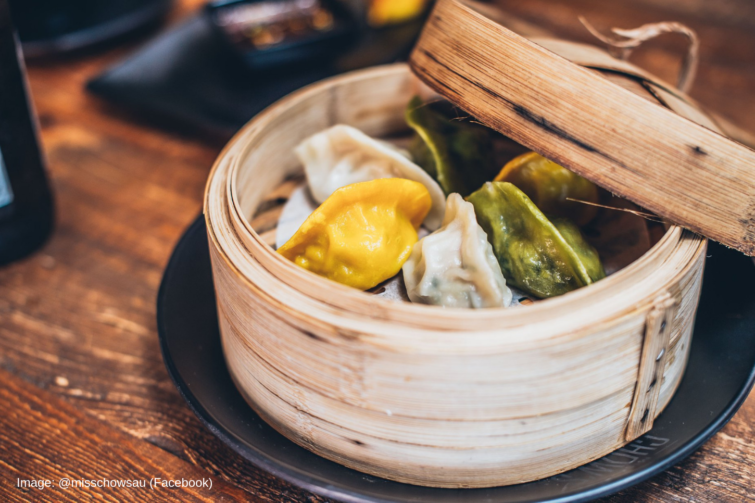 If you’re mad about dumplings, then swing by Miss Chow’s at the Perth Night Noodle Markets to satisfy all your dumpling cravings. You see, in life, you dim sum and you lose sum – but you’ll be winning all the way with these pan-fried, veggie-packed pockets of goodness. If you find yourself dreaming a-bao-t soft-as-a-cloud bao buns of the vegetarian variety, then boy oh boy, do we have a treat for you! 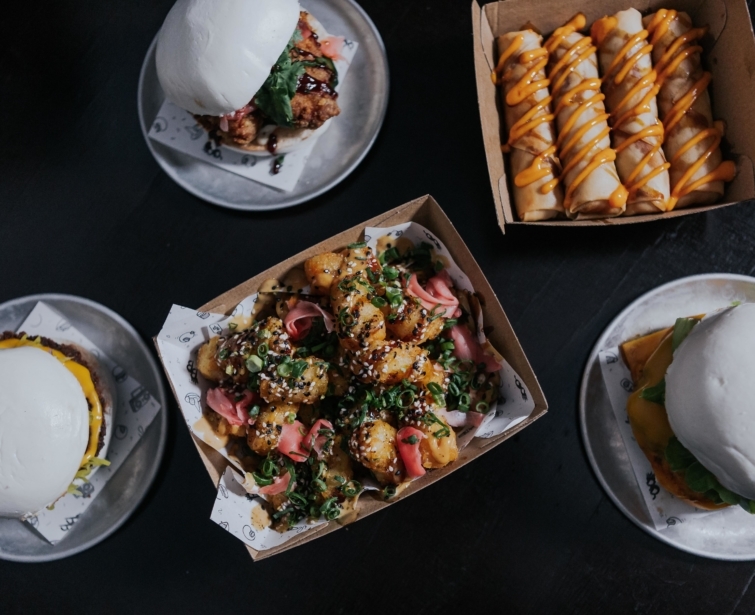 Bao Wow have a bao bun that will smash the others out of the park. We present to you, the Smashing Pumpkin Bao – a soft, silky bao bun filled with coconut lemongrass curried pumpkin and dreamy harissa yoghurt. Stick a fork in us Jerry, we’re done! Hoy Pinoy, the BBQ grill masters themselves, bring you two vegetarian delights – Mais and Kanin. Hoy Pinoy’s Mais will have you #droolemoji-ing all over the place. Think old-school grilled corn cob, drizzled in a creamy cheese sauce. Kanin is a versatile steamed rice dish served with atchara. It’s tasty-as and can accompany just about any Night Noodle Markets meal. Get ready, get set for a must-try noodle dish at the Perth Night Noodle Markets. The Yakisoba from Little Kyoto is out of this world! It’s made of noodles (of course) packed full of veggies (all the good ones) and tossed with a traditional sauce. Try one of these glorious bowls of goodness to understand why Yakisoba is one of Japan’s favourite street foods. If the sound of a Truffle Mushroom Cheese Baoger doesn’t get your taste buds a-tingling, then we really don’t know what will! 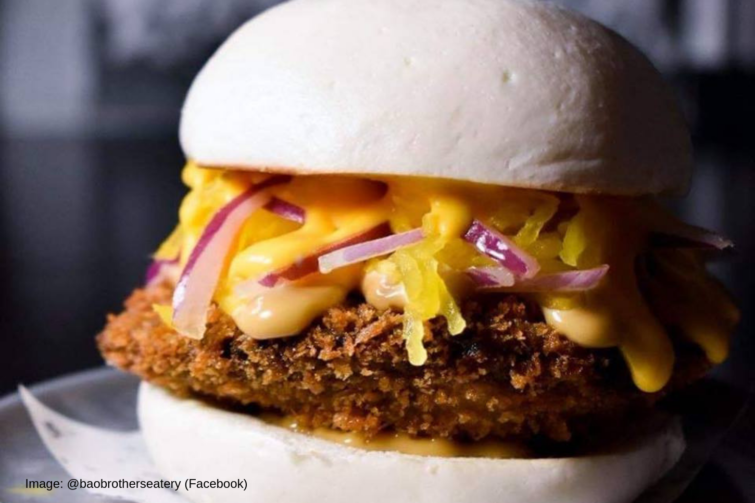 A soft, white baoger is layered with a panko-crumbed field mushroom, black garlic and soy mayo, pickled daikon, onions and liquid cheese. BOOM (shake, shake, shake mushroom)! Don’t be a tater, be sure to get your hands on a sizzling serving of Okonomiyaki Tater Tots at the Night Noodle Markets. These little potato puffs are topped with Furikake, okonomiyaki sauce, shallots and toasted sesame seeds. Yes, yes and yes! We might have unintentionally saved the best ‘til last here. K.F.C – but not as you know it. 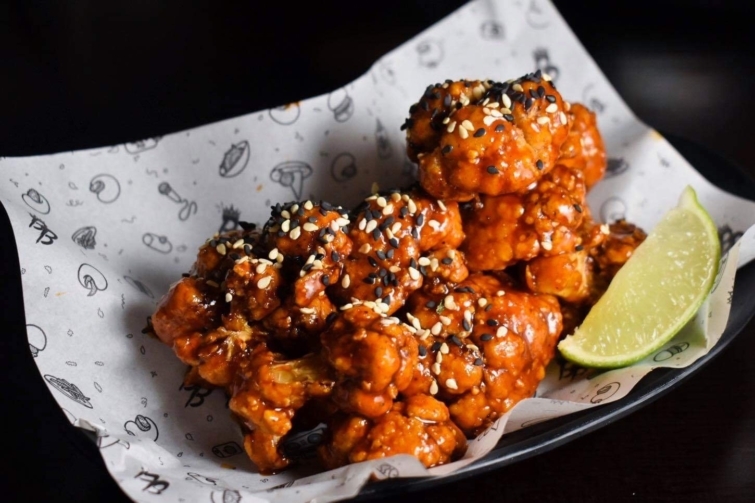 This is Korean Fried Cauliflower and it is crunchy, spicy and mighty fine with a squeeze of lime. It doesn’t really need much more of a wrap than that! Okonomiyaki is a Japanese style pizza and Ninja Cuisine are offering a veggie version layered with all the goods. The colourful combination of vibrant veggies before you will have your eyes dancing and your taste buds tripping. 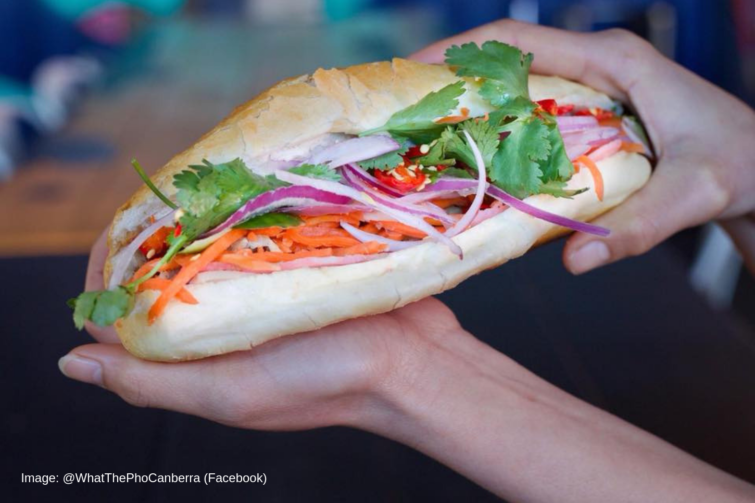 Try it for yourself at the Perth Night Noodle Markets. Trust us, you’ll want a pizza this! A Puffle is a puffy waffle wrap of sorts, stuffed full of the most deliciously colourful ingredients and placed perfectly into a paper pocket making it easy to hold and even easier to eat! 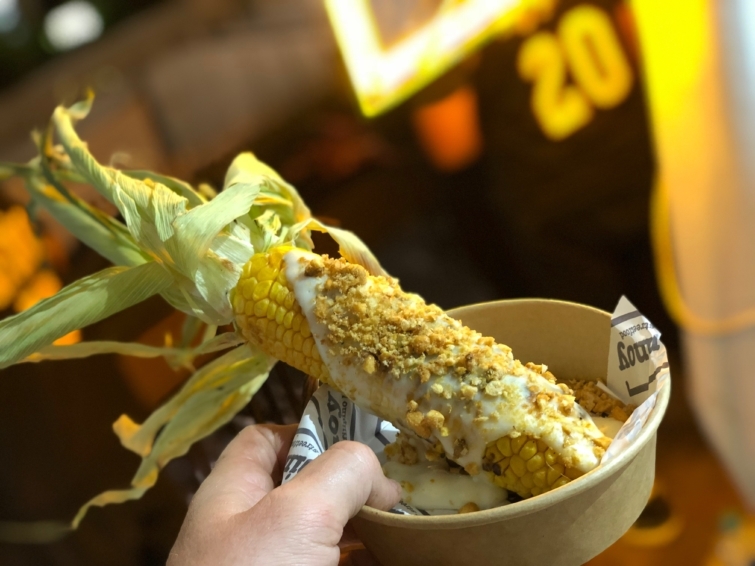 The Vegetarian Puffle from Poklol x Puffle at the Night Noodle Markets is not only totally tasty, but it’s A-grade Insta-worthy as well. Our hot tip – pick this veggie dish if you want to up you ‘Gram game! This is pho real, foodies! If you feel like tucking into an Asian-style baguette or a clean, green rice paper roll, then What the Pho have got you covered. Bahn Mi is a Vietnamese favourite. This one features a crusty bread roll layered with a rainbow of super crunchy salad ingredients, Asian dressing and chilli (for those who like it hot). If you’re a fan of a fresh rice paper roll, then the Tofu Rice Paper Roll is the perfect Night Noodle Markets treat for you. Lined with vermicelli noodles, lettuce, carrot and beetroot, then layered with tofu and rolled up tight to form a delicious, healthy parcel of goodness. You really can’t go wrong. Roll up, roll up foodies of Perth – do we have some good news for you?! 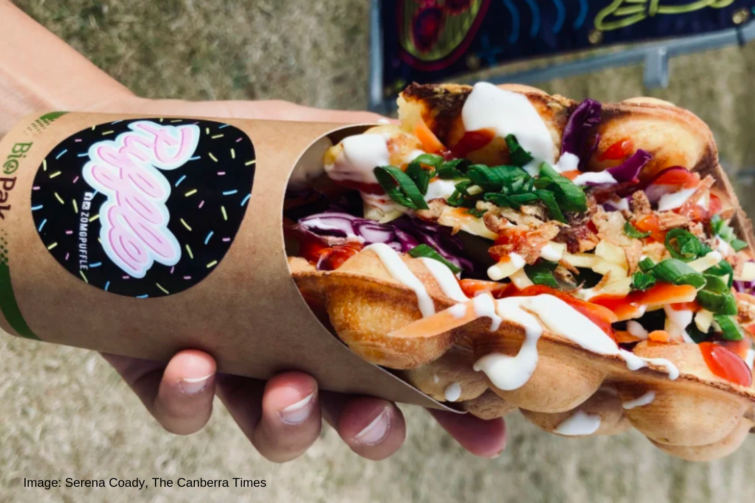 Roti Dippers are the in-thing and @Roll Up will be bringing their little flatbread delights to the Night Noodle Markets for you to devour. Dip your roti into the divine satay peanut sauce that accompanies it, open mouth, bite down and enjoy. There you have it – complete satay-sfaction. Speaking of rolls, our friends at Shallot Thai are bringing back the roll – the spring roll, that is. These all-time classics are stuffed full of vegetables and fried just the way you like them. Enjoy as a starter, a side or as a dish of their own because spring rolls really are the perfect Night Noodle Markets treat. Let’s twist and shout and twist again! Why? 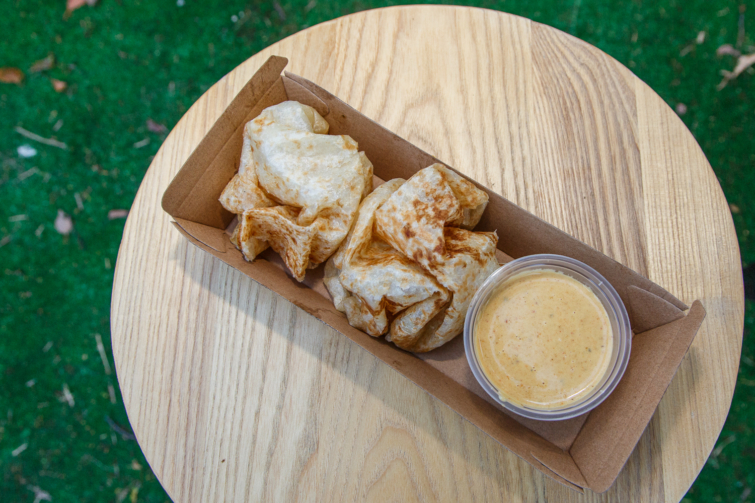 Because Twistto is back at the Perth Night Noodle Markets bringing you all sorts of twisted, flavoursome fun! Twistto’s hand cut potato pieces are stretched to 35cm long in a spiral shape, cooked in oil with secret house batter and finished off with carefully blended flavours. If you haven’t tried a Twistto potato yet, then do yourself a favour and grab one at the Markets A-SAP! So now, vegetarians, vegans and lean, green muscle machines – it’s time to stop reading and start eating! 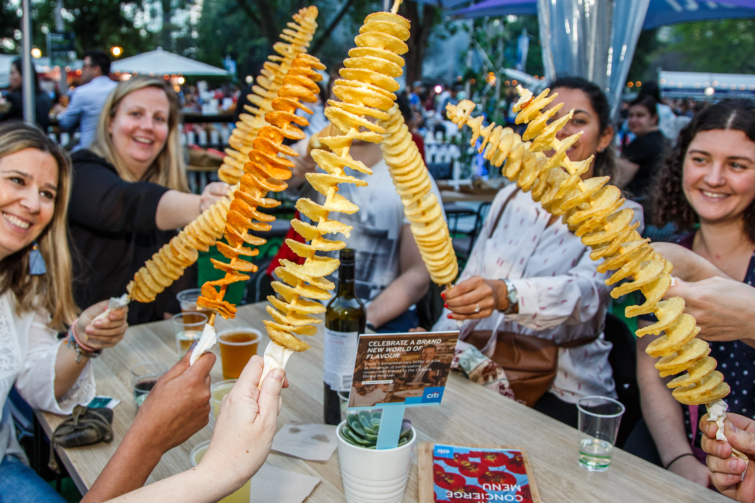 The Perth Night Noodle Markets are on from April 5 – 14 at Elizabeth Quay. Entry is free and stalls are cashless, so don’t forget your cards for all purchases.